If you're looking for something out of the ordinary while also longing for a family adventure, then this is a great program for you! 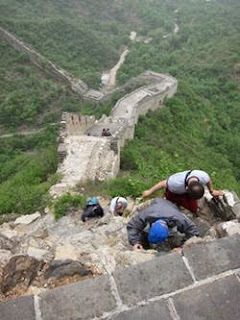 In addition to hiking the rugged and picturesque Huanghuacheng Great Wall you'll also get to go for a bike ride through the Chinese countryside, with the Xishuiyu Reservoir, tree-lined pathways, and the Great Wall serving as your background. The biking and hiking is not too strenuous, making for a great day-out for adults and kids of all ages. In addition, this tour gives you a little exercise to boot!